If you are a fan of Hornady ammunition, but don't have the budget for buy Hornady factory loads, then you should check out this ammo made by Fiocchi. These Fiocchi rounds are loaded with a 115 grain Hornady XTP jacketed hollow point bullet, and closely match Hornady's Custom line of ammo. 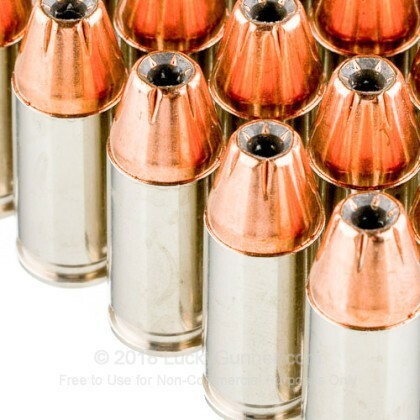 Each round is loaded with a boxer primed brass casing and non-corrosive powders. The big difference is the price. 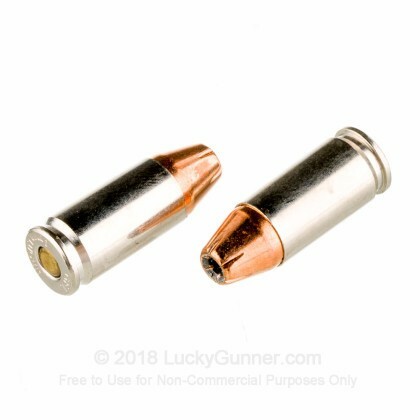 These rounds are still a great option for self and home defense, and will fire reliably and accurately, just like the more expensive version. 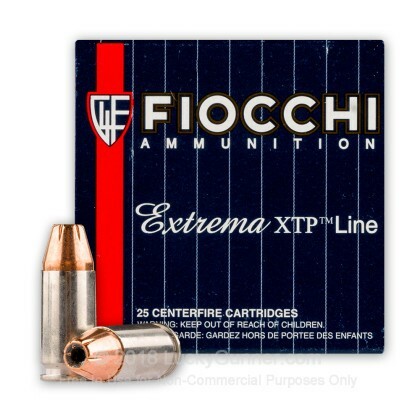 Fiocchi is an Italian based ammunition manufacturer, with a manufacturing facility in Ozark Missouri. 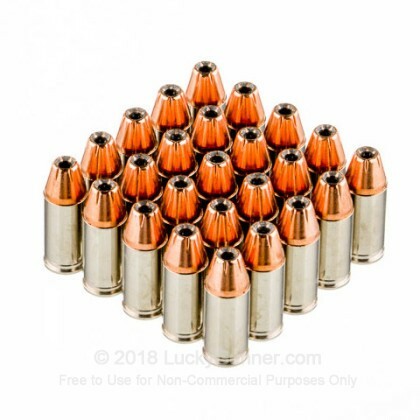 They produce a large quantity of popular calibers using high quality components, including some loads that feature popular Hornady bullets like the XTP and SST. 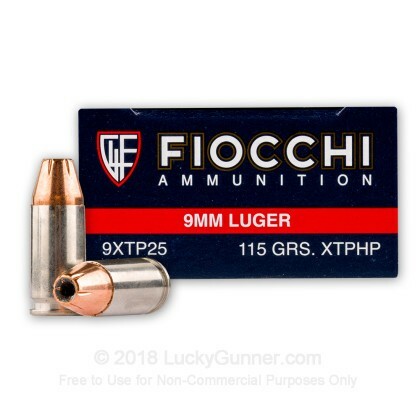 We don't have any reviews yet for this particular 9mm Luger (9x19) ammo from Fiocchi. 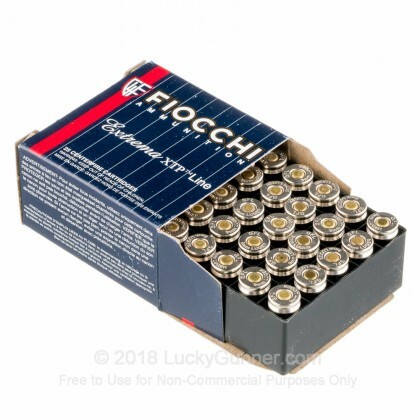 If you'd like to be the first to review this particular 9mm Luger (9x19) ammo from Fiocchi, fill out the form below.